I’ve asked you all what you want to know about, and it turns out a ton of you want to know about my hair! I am so flattered! So today I’m sharing my hair care routine with all of you. Fist, a little warning: hair care tutorials are not my forte. I can’t seem to get a photo of me curling my hair to save my life! Second, I am not a hair expert, or beauty expert, or any kind of expert really. This is just what works for me. I also break all the hair care rules and have zero clue what I’m doing. Sound like something you want to read about? Let’s do it. First, I wash my hair about twice a week. I was always able to get away with washing every other day because my hair is thick and not very oily. 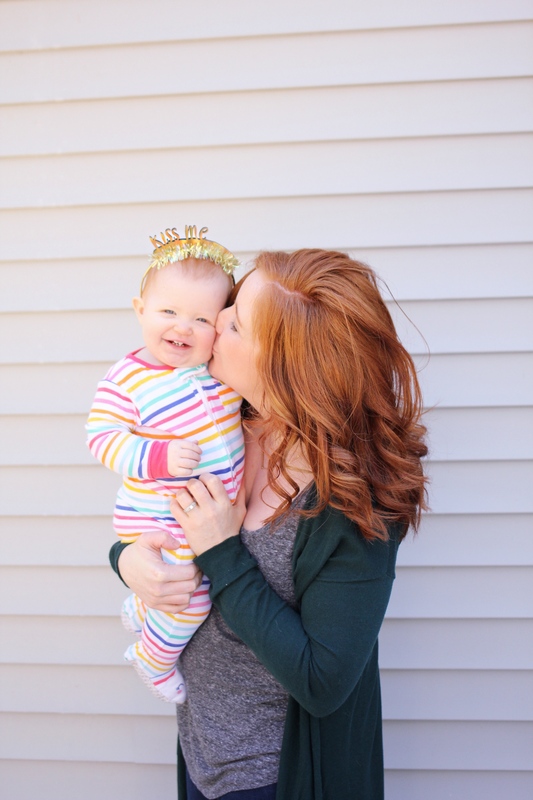 But becoming a mom changed me in so many ways…one of which was time to do my hair. I no longer have extra time in the morning to curl my hair perfectly, or time at night to wash it. So I HAD to make a change. In order to get down to just two washings a week, I had to train my hair. That means I just added a day between washings slowly. I gave my hair time to adjust to the new washing schedule. After a few weeks of washing every 3 days I stretched it out to 4 days. Four days without washing is about my max. I can go longer than that but my hair just doesn’t look good or feel good. Next, I rotate products. 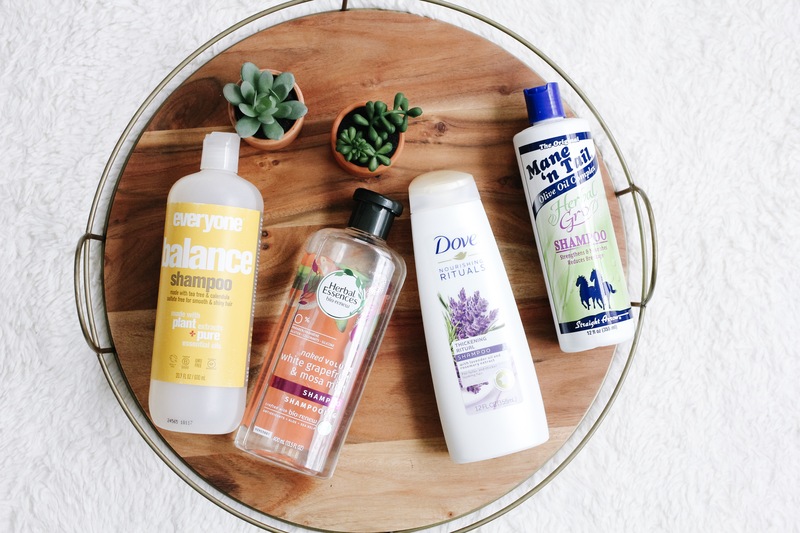 Here are the shampoos I currently use (I just use their coordinating conditioner too). Every time I wash my hair I just grab a different one. (the Mane n’ Tail is my current favorite) Nothing fancy! But this. This is my secret weapon. About twice a month I do an apple cider vinegar rinse on my hair and it is the BEST. Whenever my hair feels like there is product build-up or won’t hold a curl, or just feels oily, this is always the solution! 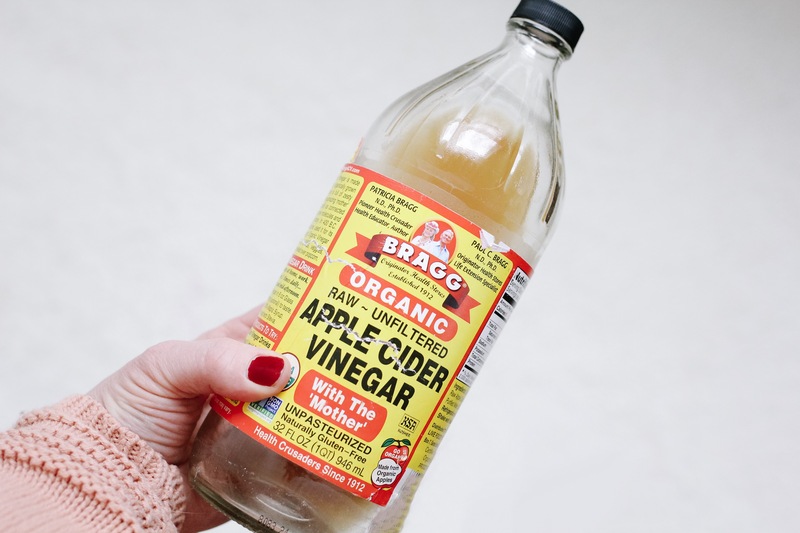 I love to use Bragg’s Organic Apple Cider Vinegar…you can get it at Target or the grocery store. 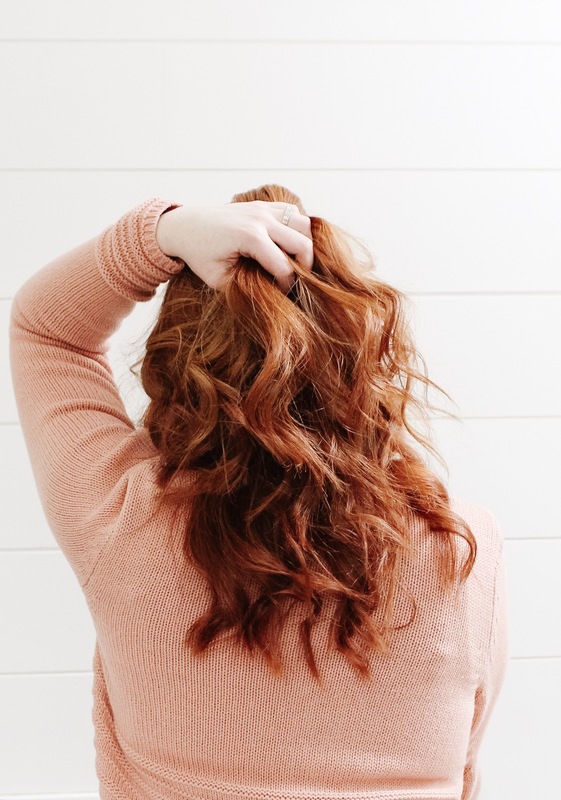 I just get my hair wet in the shower, then mix about 1 cup of warm water with 1/2 cup of the apple cider vinegar…then pour that solution over my hair from my roots to the ends. I let it sit for about 5-10 minutes while I shower, then rinse it out. Shampoo again, and condition. I swear by this method! I typically let me hair air dry for about an hour and then spray it with Kenra Platinum Blow-Dry spray. I LOVE this stuff. It has cut my blow dry time in half and smells good. After I blow dry with a flat brush I go to bed. I shower in the evenings, so I don’t curl my hair right away. I’ve also found that my hair curls best when it’s had several hours to settle after washing and drying. In the morning set aside about 15 minutes to curl my hair. I only do this on day 1. On days 2 and 3 I just touch up the curls. This is by far my favorite curling iron! The price point is great, it holds heat well, and is easy to use! I have the 1 inch size. 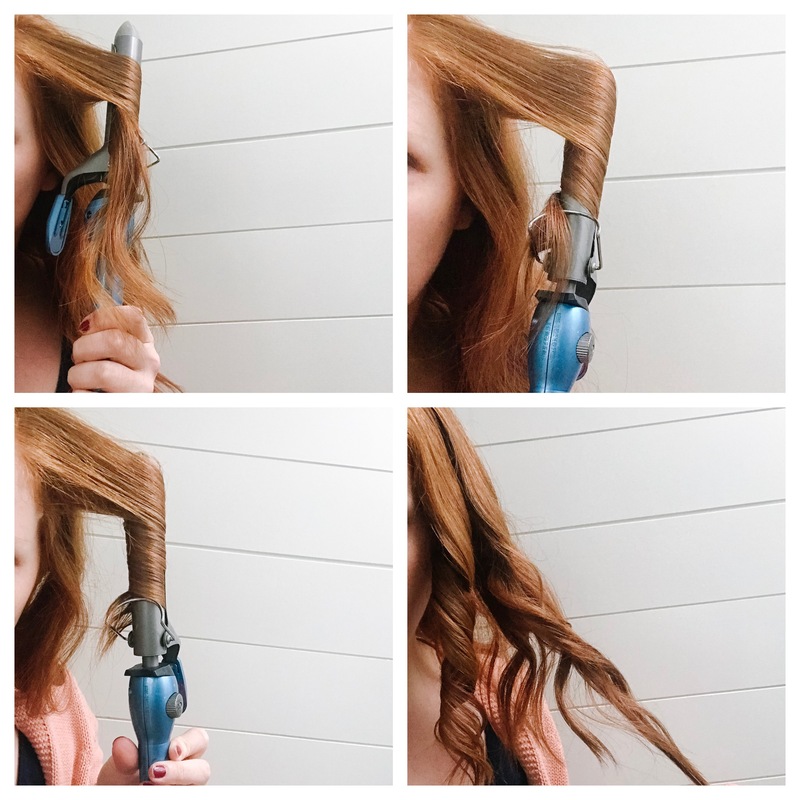 The method I use for curling my hair is best described as a “curl down”. Essentially that means I start with a 1 inch section of hair and begin curling it with my curling iron at the root and then keep opening the curling iron and twisting it to slowly take in more hair. I leave the bottom inch or so uncurled. Once the curl is complete I gently pull at the end to loosen it up a bit. I try to alternate my curling direction and always curl away from my face for the front pieces. Once my hair is all curled has cooled, I brush my fingers though the curls and set them with this hairspray. And that’s it! 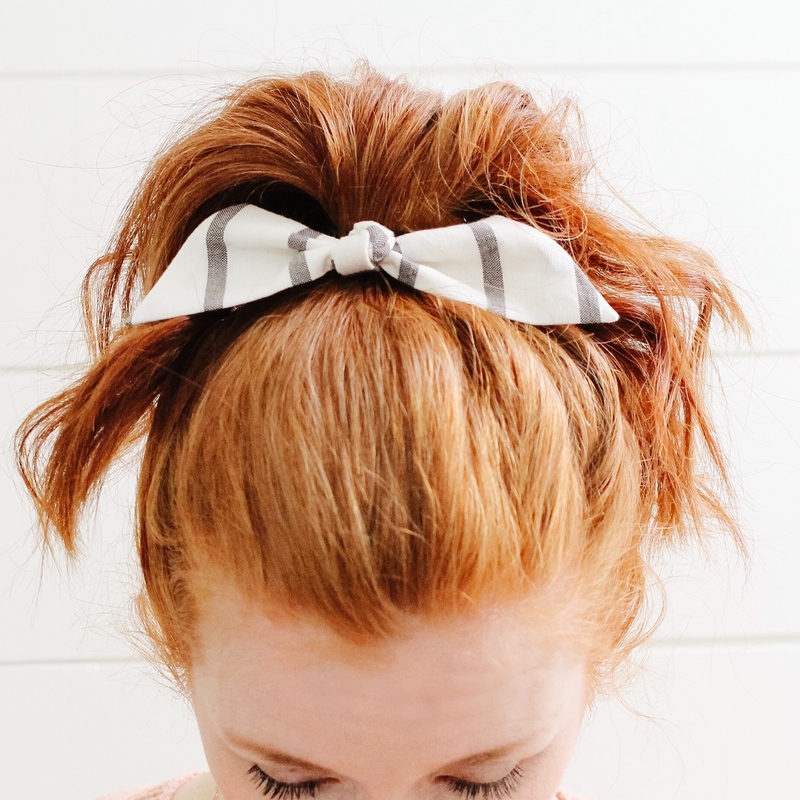 On days when I don’t have time to mess with my hair or it’s dirty, I love to toss it up in a pony tail or messy bun. 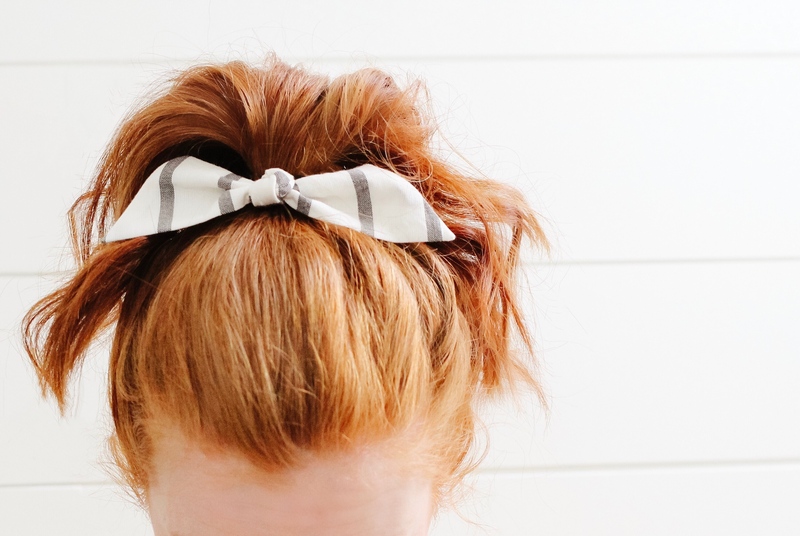 And I LOVE using pretty hair things! 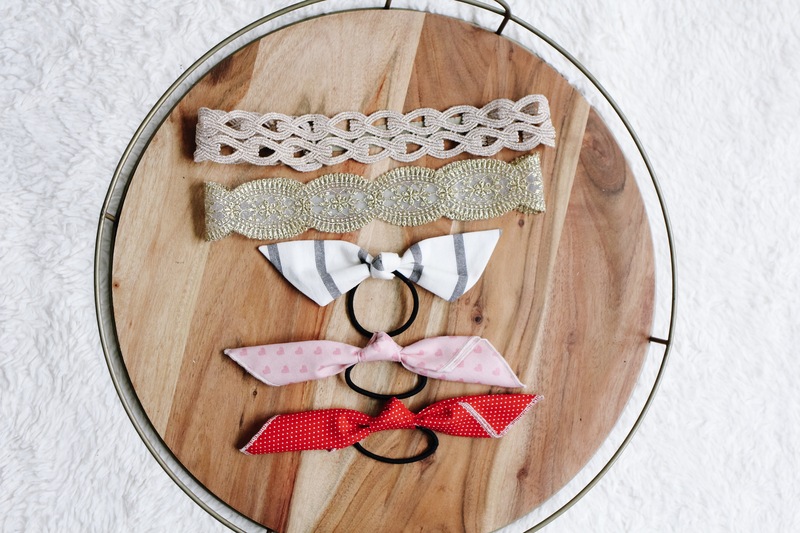 My favorite headbands are from Willow Crowns, the modern knot ties are from Modern Piggy, and the pink and red handkerchief ties are from their subscription site Adventure by Modern Piggy. And that’s it! If you have any questions be sure to let me know! 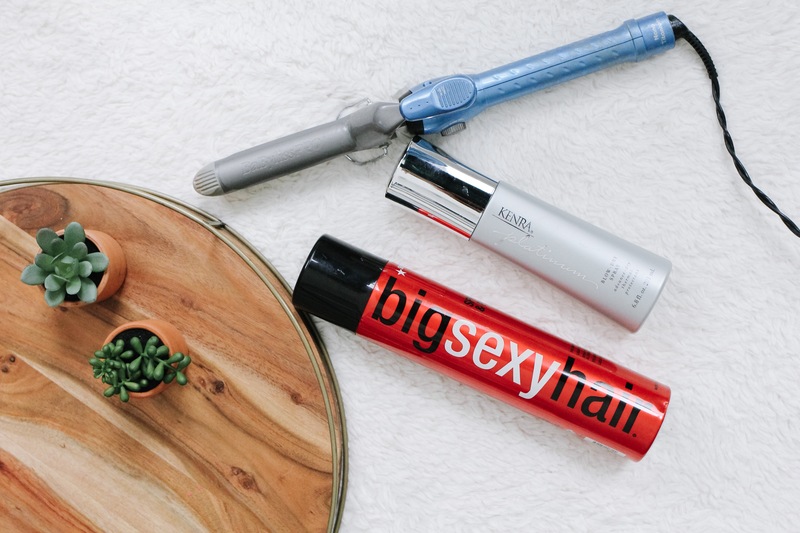 Clean or dirty, your hair is always gorgeous!